Is “lightening” a misspelling of “lightning”, or is it being used correctly (as in, the rain will get lighter in some places).? Whenever I see “lightening” instead of “lightning” in a sentence, 99.99% of the time I just chalk it up to a misspelling… but this is indeed a rare instance where it could be a correct spelling! And we can actually tell for sure by checking the original Japanese text, so let’s do that! Here is tomorrow’s weather. Heavy rain will begin in the morning, accompanied by lightning in places. This is the weather forecast for tomorrow. It’ll start to rain hard in the morning with lightening in some places. So it looks like my hunch was right after all – it is just a typo and it’s supposed to say “lightning”. Even though it’s not that important to the story or the game or anything else, having this exact typo in this exact context in a translation is a pretty rare and neat situation, so thanks for sending in your question, Theodore! If you found this article interesting or helpful and know any other fans of Harvest Moon, let them know about it. 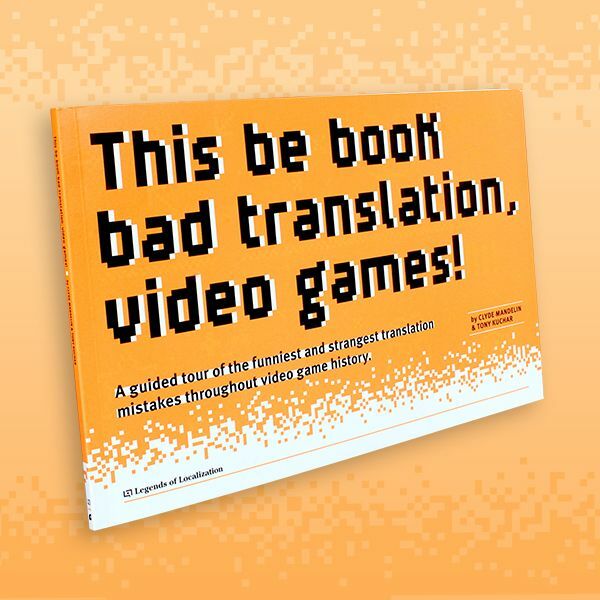 It's a great way to help support Legends of Localization! Hmm. I think “lightening” instead of “lightning” happens so often because the auto spell-check doesn’t go off since they’re both real words. I used to make that mistake all the time until a few years ago. I didn’t play close attention to the word when I was growing up, and teachers never corrected me whenever I spelled it that way on written assignments. Even better is that they redid the title screen graphics and intro text to say Lightening Force also. “The force that lightens” would be an awesome slogan for a superhero-themed laundry detergent. There’s also アガレスト戦記 Mariage (the title screen official translates it “Record of Agarest War Mariage”) and its single r.
I don’t see it staying if Ghostlight ever ports+translates the game. The English word is written as マリッジ. But yeah, I’d say they were going for the French “mariage” there. It’s reasonably common in Japanese and fits the context better. What, another Harvest Moon question already? Harvest Moon is pretty infamous for shoddy localization. The English release of Harvest Moon DS added over 15 game-breaking glitches that didn’t exist in the Japanese version, ranging from “you can only win the cooking festival once every 8 in-game years” to outright corrupting your save file. Harvest moon friends of mineral town also got some very weird translation errors, one of the guys will suddenly spout kanji, while another person will ask a question in German. What? Someone randomly speaks German? And another spouts Japanese? How does one mix up German and English? I’m not Japanese, so it might be a common mistake like Chinese/Japanese for the English world, but it’s still kinda odd sounding. There’s another more obscure part that was left in Japanese in FoMT (US): the text that appears when you check the TV in 4:44. Ten riddles no less. The game crashes when trying to display that particular piece of dialog, from my experiments I can confirm that the English build will crash when the first character in a given text box is in Japanese, but otherwise it can display it just fine. The game was only localized to English and German. Game localizations can get pretty weird… there’s unused German text in Terranigma’s English build, and Russian text in God Eater 2 (not just the standard Russian font, but actual text). And I guess I understand the localization thing. They might all use roughly the same build of the game or something. I know for a fact US Ocarina of Time still had the Japanese text for the full game (Which I must admit I find mystifying). But crashing only when the first letter is Japanese? That’s oddly specific. So it’d work if it was “A*Paragraph of Japanese*” then? I know that, but didn’t we just have a HM question recently? Seems kind of boring going with another question of the same franchise. So, err, what was the Japanese fanbases’ reaction to Robin and Lucina getting into Super Smash Bros. 4? I’m wondering because the U.S. fanbase seems kind of… Displeased, to put it lightly.